Here’s news that’s really news, but perhaps won’t be treated as such by some. 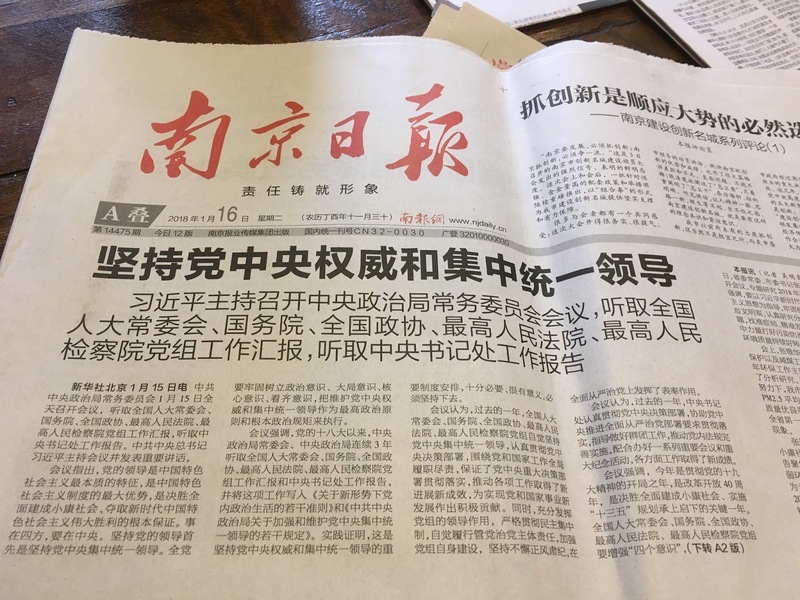 On January 16, major Communist Party media outlets ran a front-page story that referred to an all-day meeting in which Standing Committee members listed to reports by various Party and government bodies. Xi also gave a speech—described as “an important speech” [重要讲话], but that’s to be expected, because what Xi says is crucial. In some ways, the story is standard stuff. For nearly the past half decade, this has been the political season here in China when the work reports of higher-echelon institutions are issued internally within the Party and government apparatus to review various accomplishments and shortcomings. A good deal of the material distributed seeks applause; some of it is self-critical and looks for suggestions and directions. These reports are informational, in that they convey what the Chinese leadership is thinking about and aiming to do—what matters to central-level officials. The precise parameters of policy-making won’t be clear for a while, and it will take weeks for these findings to be disseminated; they’ll remain for outsiders largely opaque at best. But because the language of China’s politics is always carefully constructed, even the general statements made at major meetings like this one are revealing. This is largely political boilerplate—important in one sense because of its continuity and consistency. But when Xi and his like-minded comrades use terms such as “persist”, “focus”, “firmly secure”, “maintain and sustain”, and “safeguard”, they are referring to jobs not yet done, goals that are still unmet. The standard narrative about Xi Jinping is that, politically speaking, he is all set and secure and supreme. But if Xi has so much power and authority, why does the institution he chairs release statements that largely resemble those written by his predecessors? Given that Xi’s agenda is so different, shouldn’t Xi have been able to alter the phrasing in ways that wouldn’t reiterate what his predecessors had put forth? Those might seem difficult questions to answer, but they’re not really. 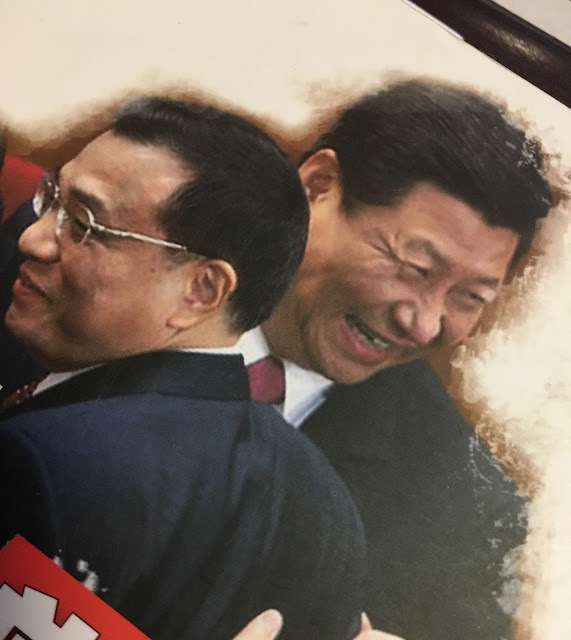 The narrative about Xi being more powerful than anyone since Mao is nonsense. That’s in large part because this isn’t the China of the past century, but the present one. The problems are different; leaders have learned some lessons and forgotten others; and the society is both more alert and far more diverse. Xi and his allies have major challenges. They want to centralize policy-making; bring back and reinsert ideology in a major way; and exert authority over the economy while connecting to the society. And, judging from the focus of the meeting, they’re having difficulty keeping everyone on the same page. They understand that there’s resistance beyond Beijing. Many local officials support Xi’s overall vision of change, but there are signs of discomfort among some. They want to decentralize authority; view ideology as a diversion from daily tasks; and wish for innovation and entrepreneurship to win out over Beijing’s emphasis on state-owned enterprises. Some may not be well pleased (though others appear firmly in Xi's camp*). So far, the center is holding, dominated by Xi and his fellow hardliners, many of them quite brilliant. But that they seem to feel the need to remind others of their aims means they aren’t dominating everything yet. The National People's Congress, the State Council, the Party’s Political Consultative Committee, the People's Supreme Court and the Supreme People's Procuratorate, and the Secretariat of the Central Committee. [听取全国人大常委会、国务院、全国政协、最高人民法院、最高人民检察院党组工作汇报 听取中央书记处工作报告] In short, all the heavy hitters. As opposed to the many and sundry analysts who want to tell Beijing what it should be focusing on, and therefore must be aiming to do. An example of such misplaced projection over the past few years is how China must be engaged in deep financial reform that would emulate other nations because that’s what those observers believe Beijing needs. “Like-minded” on many issues, but by no means all. Xi didn’t select these people; the Central Committee did. Xi is a hardline conservative aiming to reform the Party through rectification and centralization. That doesn’t mean everyone is in lockstep with him or those views.